We are committed to providing the highest quality area rug pad at competitive pricing along with uncompromising customer service. 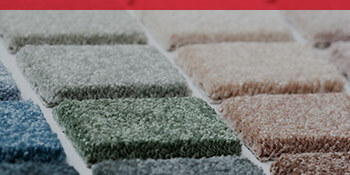 Since 1980, we have delivered the best area rug pad to our customers. What makes our pad unique is that it is made of a top of quality waffled rubber bonded to a fiber base which lets it hold the rug from slipping while gently supporting and cushioning your rug. Why Do You Need a Quality Rug Pad? First, an excellent rug pad will provide a cushion between your rug and hard floors which will help prevent wear thereby protecting your investment. Otherwise, without a pad, your rug fibers would be crushed and ground down with each step. Second, a well-made rug pad is luxurious, soft and resilient, compressing underfoot and bounding right back for your comfort and the best appearance of the rug. Third, and perhaps most importantly, a great pad can prevent accidents by keeping your fine rugs from slipping or buckling. Optimat keeps you and your family safe. 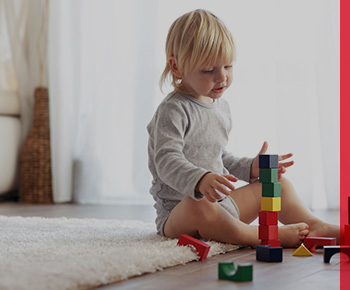 Inferior, flimsier pads will buckle and fold in on themselves creating hazards where Optimat is heavier and more substantial, which provides stability for your rug and your family. Finally, an area rug pad should perform as well on wall-to-wall carpet as it does on hard surfaces. Place the OptiMat pad from ORIENTAL EXPRESS with the reverse waffle “tentacle grip” side face down on hard floors for more gripping power than any other pad. Turn our pad over – rubber side up – and you have a pad that keeps area rugs securely in place over wall- to-wall carpeting. The felt surface is specially treated to provide extra grip and prevent fuzzing and fraying. OptiMat has 22 ounces of felt and 16 ounces of non-washable rubber per square yard heat fused to the felt face side. OptiMat is not only the best around, we can offer it at an optimal price. And, since we know one size does NOT fit all, all pad orders at ORIENTAL EXPRESS are custom cut to fit your rug exactly no matter the size. Interior decoration has come a long way! Today, the average Las Vegas citizen enjoys the benefits of hardwood, tile, carpeting, and rugs. The textiles we use on our floors not only have an impact on our comfort, they also provide aesthetic opportunities and can transform any space. At Oriental Express, we are all about the rugs that make Las Vegas living and entertainment spaces so luxurious. Oriental rugs have long been treasured for their jewel-like colors and intricate designs, and they don’t come cheap. Keeping those colors vivid, the pile soft, and the floor beneath safe, are all parts of our mission. 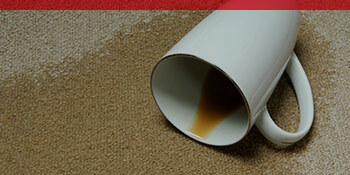 We also renew and repair damaged carpets to enable them to keep beautifying the world. While many people are eager to invest in a rug, they often forget the importance of putting a pad underneath. By itself, a rug can be unstable, dangerous, and easily damaged. A rug pad can solve all of these problems. Learn more about all the rug pad benefits you don’t want to miss out on! Rugs are great because they come in a huge variety of shapes and sizes. This means they can be used to bring entire living rooms together or make narrow hallways cozier. They are also an incredible tool for dulling noise. Hard surfaces like walls, ceilings, and floors reflect sound instead of absorbing it, which can make just walking down a corridor into a very disruptive cacophony to anyone trying to get work done or take a nap. Footsteps, voices, opening and closing doors — all of these noises can deeply reduce the peacefulness of a home. The great news is, any sort of textile will be able to absorb a lot of noise, making your spaces more serene. When you think about the reflective surfaces available for sound reduction, there’s the ceiling, the walls, and the floor. While you can turn to window coverings and furniture for some of your sound reduction, there is one massive surface you can quickly quiet down: your floor. The floor is the easiest surface to quiet down. You may think it’s as simple as picking out some beautiful rugs and placing them around your living spaces, if you keep things that simple, you’re missing out. Rug pads greatly enhance the noise-dampening qualities of rugs by adding thickness. Don’t leave the rug pads out, and you’ll be surprised at how covering up the floor can quiet your spaces down to a comfortable level. 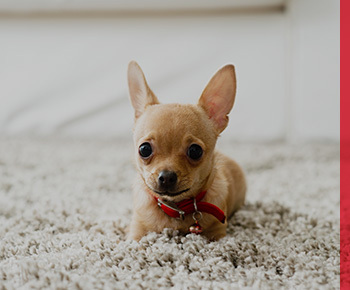 If they aren’t cared for correctly, rugs can become islands for dirt, bacteria, and moisture. Part of why we do what we do is to prevent valuable rugs from developing damaging mildew and mold. Even though Nevada is a pretty arid place, that doesn’t mean indoor spaces have to be. Depending on the humidity and temperature levels of your home, your rugs may be more at risk. Instead of letting them rest directly on the floor where moisture and potentially-damaging particles have nowhere to go, you can install a rug pad. Even though rug pads are made of dense fibers, they hold a surprising amount of air. As a result, they can act as a sort of lung for your rug, keeping the space between your rug and the floor healthy and clear. Of course, rug pads can become homes for particles you want to get rid of, so it is important to remember them in the cleaning process. 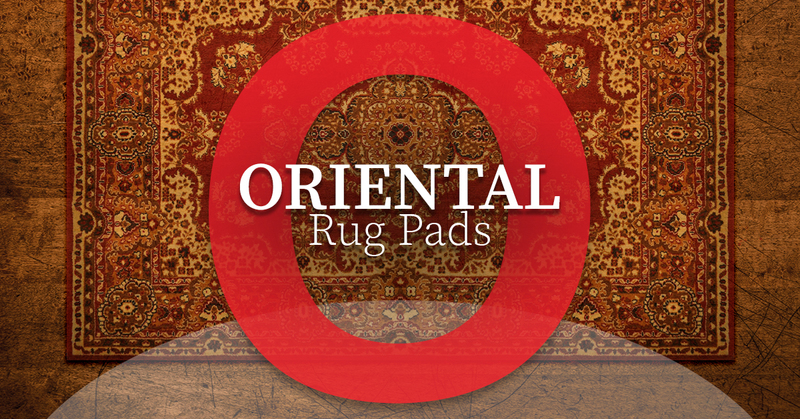 The Oriental Express team can evaluate your rug pads and let you know whether cleaning will work or replacement would be better. Some rugs have hard plastic backing designed to help them stand up to wear and tear. Others do not. Either way, the rubbing and shifting that rugs deal with on a daily basis can quickly reduce their lifespans. If you’ve invested in beautiful rugs, the last thing you want is for them to age prematurely. However, you shouldn’t have to avoid walking on your rugs just to make them last longer. The good news is, you can arrange a system that allows you to enjoy the feeling of your rugs between your toes on a regular basis without having to retire them early. Rug pads are the answer! Our chosen rug pads, made by OptiMat, feature waffled rubber and plush fibers that not only keep the rug in-place, they also add a luxurious softness and help the rug stand up to traffic. When you have a rug you enjoy and you want it to last, investing in a rug pad isn’t optional. That is why we have integrated rug pads into our services, ensuring that we give our Las Vegas clients the very best rug services. When you lay rugs down, whether it’s in an entryway, hallway, or living room, you need to be able to walk on them without worrying about traction. You also don’t want to need to straighten the rugs over and over again because they’ve been shifted out of position. While some rugs have a backing that might be supposed to keep them stationary, that is not enough. All it takes is you hurrying through your house (or a child running around), and those rugs can become major falling hazards. Even if you’re holding a rug down with furniture, if it doesn’t have a good pad, it can develop curled corners that will easily trip you up. You need your rug to act as part of the floor, and a great rug pad is your best option. The OptiMat rug pads we offer are infused with rubber that enables them to grip the floor and your rug at the same time, keeping your beautiful floor art in place whether you’re rushing over it or relaxing with your bare feet in it. We’ve tried out many different kinds of rug pads in pursuit of the best one, and OptiMat is the winner. If you live in Las Vegas, let us address your oriental rug needs with our rug pads! The texture of rugs makes the instant gathering places for dust, dirt, and other particles. These particles can act like sandpaper within your rug. Every time you walk over it, the wear on the rug is doubled or tripled, thanks to those little grains of sand, dirt, and beyond. Your rug’s color and texture will fade much quicker than you expect, leaving it looking tired and old when it should still be looking its best. That is why Oriental Express’s rug cleaning and restoration services are so important. Great rugs don’t come cheap, and they are worth caring for. A rug pad can keep your rug cleaner by allowing dirt to filter through your rug and into the pad itself. The pads also promote air flow between the floor and the rug, which makes vacuuming the rug far more effective. We also love the OpiMat rug pads we install because they can keep moisture off of floors that cannot handle it (like hardwood floors). Rug pads don’t just help your rugs out, they make life better for your floors, too! Whether you have tile, hardwood, carpet, or laminate flooring, putting rugs on top of it can actually lead to damage. Without proper padding, rugs will rub bare patches and holes into the floors beneath them. This is especially true when it comes to rugs that have stiff, rough plastic coatings on their backs. The last thing you want after investing in expensive rugs is to have them ruin the flooring underneath. That is why you need rug pads. At Oriental Express, we don’t just offer rug cleaning and restoration. We also can install high-quality rug pads that will not just make walking on your rug feel amazing, but protect your floors as well. We love rugs for their ability to bring warmth and beauty to any room, and with our rug pads, you won’t have to worry about the rugs shifting or causing damage. Living spaces are generally more comfortable when they are somewhat quiet and soft. We’ve already mentioned how rug pads enhance the noise-dampening qualities of rugs, and we can’t wrap up without mentioning the simple pleasure of stepping or reclining on a properly-padded rug. Great rug pads like the ones we provide from OptiMat not only provide all the benefits we listed up above, they take beautiful, soft rugs and make them truly luxurious. Having the opportunity to decorate your own living spaces is exciting, but it can also be overwhelming. There are so many different options to go with! When it comes to your floors, you have to choose between wood, laminate, tile, carpet, rugs, and more. What is the best choice for your comfort? What is going to be practical when it comes to installation and maintenance? Rugs are incredible ways to inject color and texture into your spaces without paying for foot after square foot of traditional carpet. You get the chance to play with both the colors of the floor and the colors of the rug. You can also define spaces, creating intimate gathering spots or grand dining halls. The sky’s the limit! Read on for more reasons why investing in oriental area rugs is a fantastic decision! 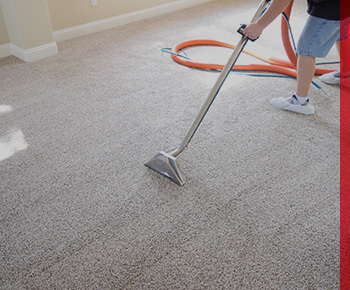 You probably have experienced how elaborate traditional carpet cleaning can be. It requires a bunch of different implements, tools, and chemicals that may or may not be safe for the environment. You have to move all of your furniture, and then stay out of the cleaned rooms until the carpets dry out. What a pain! Rugs don’t require all the mess. At the most basic level, rugs can be picked up, taken outside, and shook out. They can be carefully cleaned in-place or moved to a more convenient location while they dry. 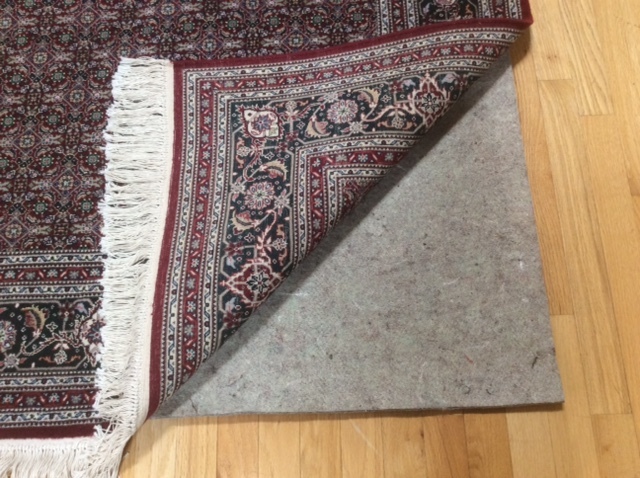 Our professional rug cleaners can make quick work of your oriental rugs, employing excellence and experience to restore the beautiful colors and patterns you love so much. This is far better than the work it takes to maintain a lot of carpeting. Don’t forget to add pads under your rugs, though! When you get a traditional carpet installed, you get to pick one color and one texture — that’s it. Maybe you’re carpeting a big room that needs to be broken up into multiple sitting areas. Or maybe you have a dark hallway that needs a little extra color. Traditional carpet won’t help you here. Instead, rugs are the answer. Rugs can be used to break up big stretches of floor and create unique spaces within the whole space. A colorful rug can add interest and comfort to your narrow hallway, making the most of the space. One of the things we love most about oriental rugs is their ability to inject fierce color into otherwise drab surroundings. They can easily become the main event, a beautiful, complex canvas you can add to your furniture, window coverings, and art. The possibilities for playing with color and pattern are truly wonderful, and you’ll never experience that with a bunch of traditional carpeting that is all the same color. Just make sure you get pads for your rugs! Did you know that carpets act as big, passive air filters? They collect tons of particles out of the air and keep them until you walk over them and kick them up. Of course, proper cleaning mitigates a lot of this. However, if you struggle with allergies, carpets can be your worst enemy as they collect and hold irritating pollen particles. Traditional carpets must be cleaned because their pile level is generally pretty high. However, when you’re using rugs, you can invest in low-pile rugs, which are much easier to clean. Put a pad under low-pile rugs, and you’ll be able to experience the luxury of softer carpets. 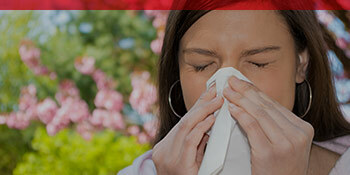 Contact us for oriental rug cleaning services and let us help keep you allergy-free!